Does the Media Give Enough Attention to Missing African American Women? 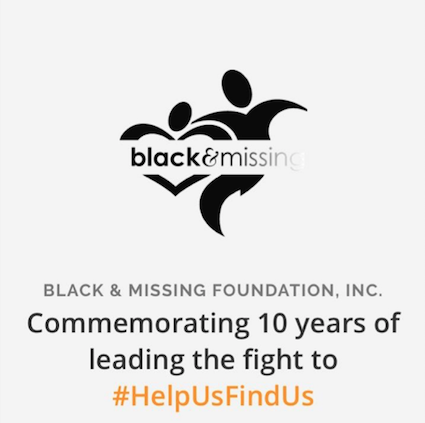 The Black and Missing Foundation is dedicated to specifically help locate missing black persons. Photo courtesy: The Black and Missing Foundation website. If you pay attention to the news, you may have heard of Jayme Closs, Kelsey Berreth, or most recently, Savannah Spurlock. But have you heard of names such as Michelle Watson, Amber Evans or Envi McClin? Be honest… most likely, you have not. One thing the first three people have in common, are that they are all white women. The last three, also have something in common, and it is… you guessed it! They are all black females! Black History Month should not be the only time we point out issues affecting the black community. February is not the only time we should be paying attention to our missing black sisters, that have not received the media attention they deserve. This is an issue that persists, all year long, and since the times of slavery. One night, I stumbled upon an online notification about a black woman who was missing. It was interesting to see this as, personally, I have not seen it very often. Turns out, the notice originated from the Black and Missing Foundation website. The woman was a 30-year-old mother of three, Latasha Nevitt of Chicago. She had gone missing on the night of Oct. 10, 2011 while walking to a nearby convenience store. Her husband was the last person to see her before she disappeared. Despite being featured on the Black & Missing website, Latasha was found dead in a sewer pipe not to far from where she lived in March of 2014. According to chicagomag.com, her death has been ruled a homicide as of April 2014. Though her a killer was never found her neighbors suspected that her husband, Isaac Nevitt, had something to do with her death. Despite these allegations, there have been no updates on the case, nor have any suspects been arrested. Now why am I writing an opinion piece about this? Because both local and national media organizations have not done enough to cover Latasha and the many other missing black females. Now let’s look at the statistics. Picking back up in 2014, approximately 64,000 black females went missing in the land of the free, according to the National Crime Information Center. Other than this, it is as far as the data goes for finding official information on missing persons described with both race and gender combined. Now personally, the most media coverage I have ever seen of the 64,000 (and possibly more) missing black females, is from the short lived days of the hashtag, #missingdcgirls, that exploded over Twitter. According to brit.co, on March 24, 2017, the hashtag reached notoriety when the number of missing girls, (mostly black), reached 500 in our nation’s capital. As a part of the hashtag, many people pointed out that several of the missing girls did not receive any media attention on the national level, and if the roles were reversed, it would have been a completely different outcome. In response to the Twitter outrage, the Metropolitan Police Department issued statements to make it seem as if the issue was not as bad as it is portrayed to be. They said things such as, “The number of missing persons is not going up”, “In 2016, we had almost 1,000 fewer reports of missing persons than we had in 2012,” and, “Often times, these girls are repeat runaways,” which came from a spokesperson for DC’s mayor Muriel Bowser. But all of these statements still do not address the real issue: A significant amount of young girls of color are still missing from the city. The theory, or term, was coined by the late Gwen Ifill in 2004. The term focuses upon extensive media coverage, mainly on television, of cases involving missing, young, white, upper-middle-class women or girls. It examines the American media’s undivided attention to upper-middle-class white women who vanish compared to their attention to cases of missing males, women of color and women lower income areas. Using a variety of terms, studies, theories and most importantly, numerical data compiled in 2013, Sommers provided the reality of Missing White Woman Syndrome. In terms of numerical data, the analysis provides several figures to support the “syndrome.” The analysis compares the number of missing individuals who are featured in online news stories to the FBI’s records of the overall missing person population. One graph in the analysis contains the statistics of all individuals by race in the overall media coverage population, compared to base rates of FBI data. Blacks account for 35 percent of the missing persons population but represent 22 percent of cases are covered. Compared to whites who in fact are 60.32 percent of the missing persons population, but are covered at a rate of 60.54 percent. The graph shows that the media coverage of missing persons contain a disproportionately low number of black individuals when compared to the FBI population. Therefore, missing whites are overrepresented in media, compared to the overall missing population. Another table contains race of individuals across a specific media source. CNN, The Minneapolis Star Tribune, Atlanta Journal Constitution and Chicago Tribune are the different media sources used in the analysis. CNN, The Minneapolis Star Tribune and AJC subset (substitute news articles from alternative news sources) are the three sources that contain the highest percentage of missing persons who are white. The three cities were chosen to view the statistics all have above average crime rates for large cities. This provides a comprehensive amount of abduction cases to be filed through by media outlets. Also, to add a sense of racial diversity among the cities, i.e., Minneapolis has a significant portion of white residents, (63 percent), Atlanta with a significant portion of black residents,(54 percent) than Chicago, with Chicago having over a quarter of black residents at almost 33 percent of the city. Let’s put the spotlight on Atlanta, which according to table, the AJC subset covers and practically counts 16.88 percent of missing individuals who are missing in Atlanta, are black. Now keep in mind, this is just the percentage of individuals covered, not how many are actually missing. However, missing persons information is not available by individual cities, according to this section of the analysis. Now turn this back to Atlanta’s black population, which is 54 percent of the city. Based on this, shouldn’t the coverage of missing black individuals in Atlanta be more prominent and reflective of the city’s black population? 71.43 percent of individuals covered by the AJC subset were white, with Atlanta’s white population recorded at 38.4 percent, in 2013, according to the United States Census Bureau State & County Quick Facts. According to a third table, “Race by Gender Composition of Individuals in Media Data”, focuses on the core aspect of this story. The chart incorporates both race and gender of missing persons because the FBI data are not divided into race and gender combinations. This chart compensates for the lack of proportion tests for race by gender groups, such as, black women. White women composed the largest intersectional group in the media coverage data at 32.97 percent. However, data from this chart was formed hypothetically, though still with some sense of accuracy when comparing FBI data. The Active Missing Persons File states that 60 percent of persons are white, and 40 percent female. When drawn over the white category of the file, the percentage of missing white women would be 29 percent. However, this is only hypothetical, but still suggests there is overrepresentation of white women but only incidentally. Then comes the theories that have been used to prove Missing White Woman Syndrome. Intersectionality is the leading theory in explaining Missing White Woman Syndrome. It is defined as the idea that individuals of several historically marginalized groups are placed in a position of inferiority. A great example of this would be of how black women are part of a race group that is marginalized, along with a marginalized gender group. Being both black, and a woman, is the perfect example of intersectionality. A study done by Scripps Howard News Service analyzed child abductions from 2000 to 2004. The study found that the 162 AP stories and 43 CNN reports dramatically overrepresented white children. Researchers used data from the Department of Justice and the National Center for Missing and Exploited Children to estimate that between 53 percent and 54 percent of missing children from that time frame were white. In contrast, 67 percent of the AP reports and 76 percent of CNN stories focused on white children. As a result, there were disproportionately fewer stories highlighting black and Hispanic children. Aside from all the data, facts and figures, terms and theories, it seems as if we are still grappling with the one essential issue.